IDENTICAL Harare twin sisters recently assaulted a Harare man and extorted US$3 000 from him for allegedly bedding one of them in a case of mistaken identity. 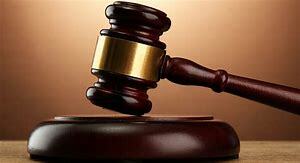 The twin sisters, Shyleen and Shylet Nyangade (22), appeared in court on Friday charged with assault and extortion and were remanded them to today for bail application. It is alleged that Shylet planned to seduce Chikonyora during Shyleen’s absence and the latter would “catch” them in bed. The State alleges, according to their plan, Chikonyora and Shylet were in the bedroom when Shyleen turned up and accused Chikonyora of infidelity. It is alleged the two sisters then started to assault Chikonyora with cooking sticks, open hands and fists. The accused persons recorded the assault on video. The twin sisters went on to blackmail Chikonyora, threatening to leak the video and demanded US$3 000 from him. To protect his dignity, Chikonyora then paid the amount. The video was, however, leaked and he reported the matter to the police.